Bullfighting is actively performed only by a negligibly small share of the population in countries where it is popular. It has therefore no public health benefits. Running is healthy. People can run as a sport. Running with the aim of torturing an animal isn't a sport. If we called murder a sport because it may include running, that would not make it right. An activity being good for the physical health of one who practices it, does not justify that activity being legal or encouraged. If someone runs after someone and kills them, they will not be excused because the act of killing involved running and running is good for their health. 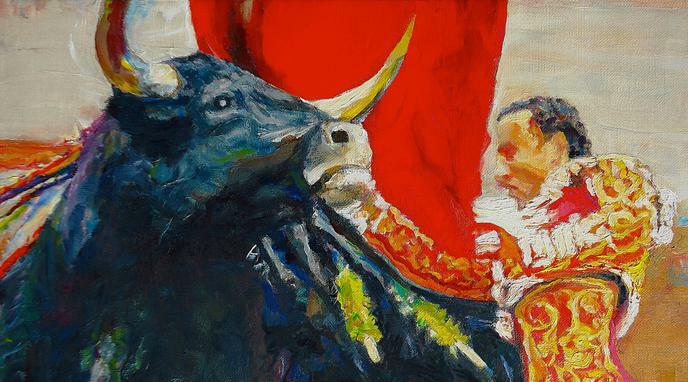 Participating in sport is good for health, but bullfighting is largely a spectator sport, meaning that very few people gain any health benefit from it. ritual in where a man, sacrifice animals in behalf of his god.